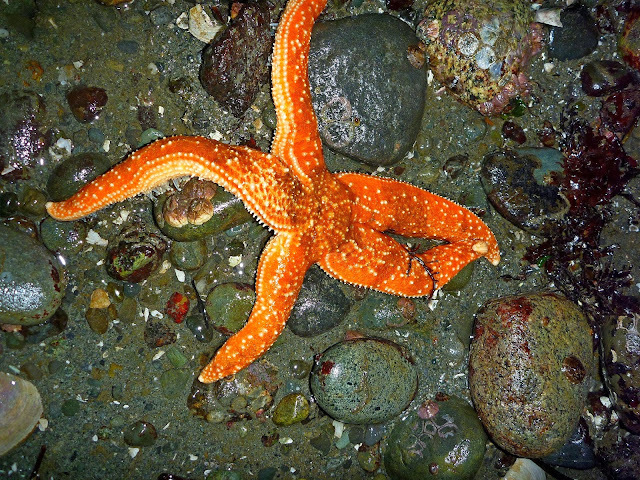 On last night's (12-30-13) beach walk at Emma Schmitz Park south of Constellation there were a number of differences from the night before at Constellation Park. 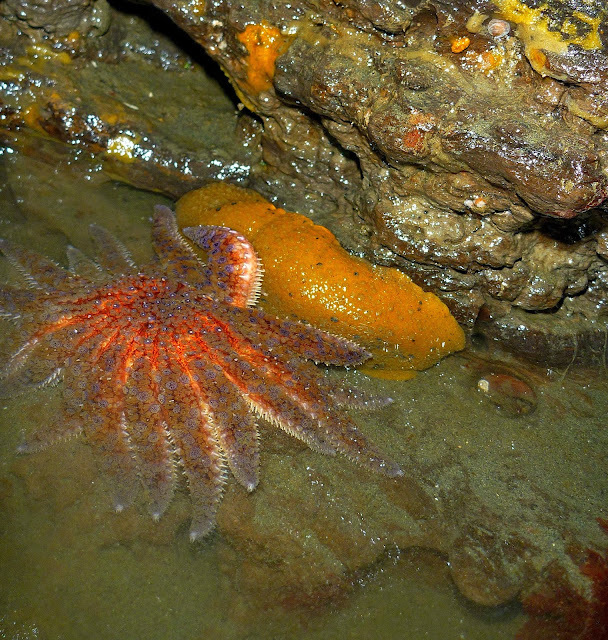 The most common sea star was the Mottled Star and most appeared to be healthy. 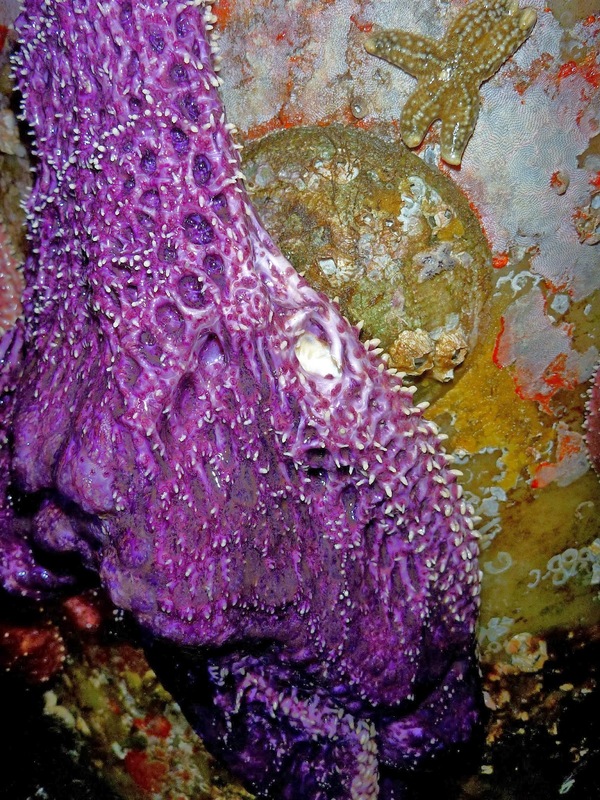 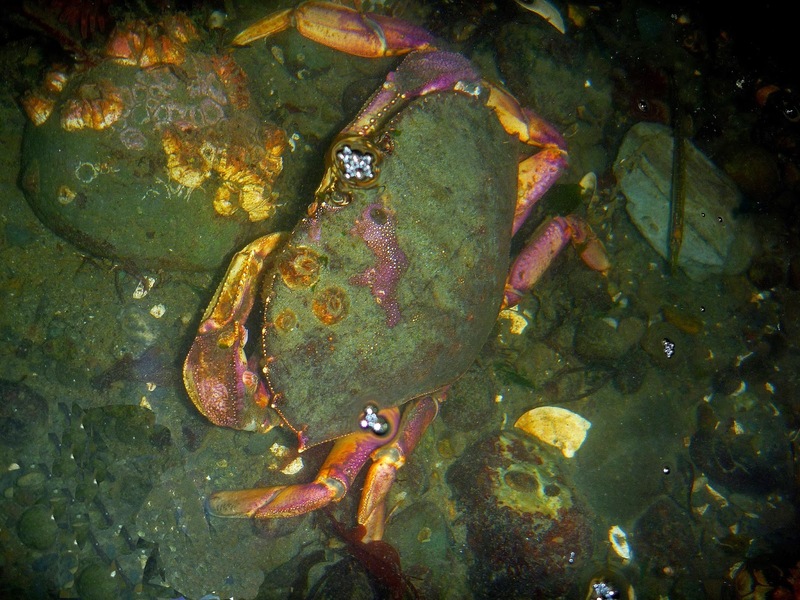 There were a number of Purple Stars with some showing the wasting disease. 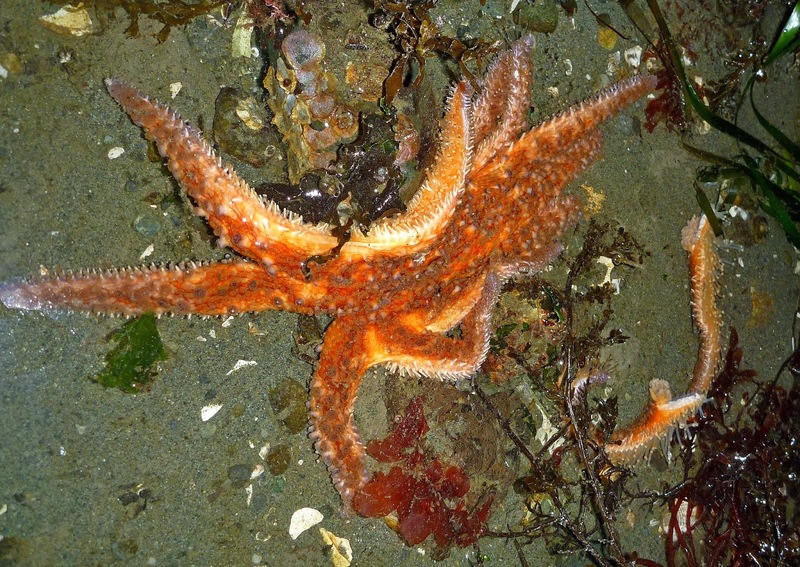 Of some 25 Sunflower Stars (all small) only one showed signs of wasting disease. Many of the Sunflower Stars however were partially out of sight within the clay ridges on the beach making health determination not entirely certain. On the condo pilings just south of Constellation Park the Purple Stars appeared mainly healthy with only about 5% showing signs of sea star wasting disease. 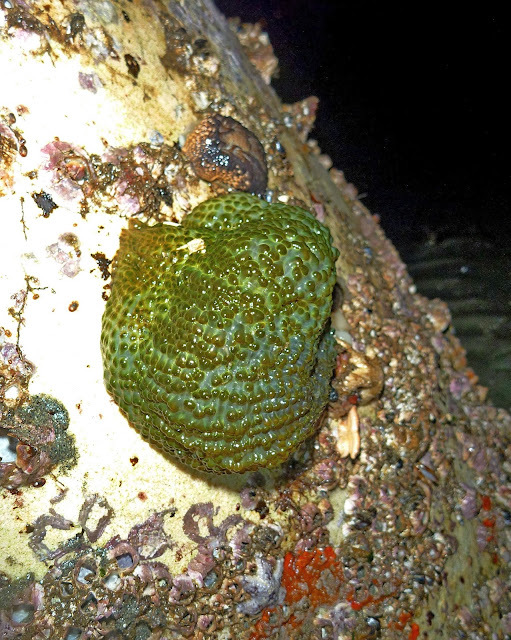 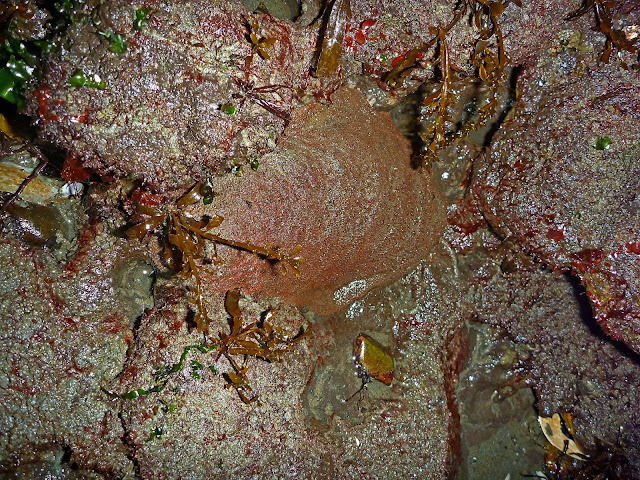 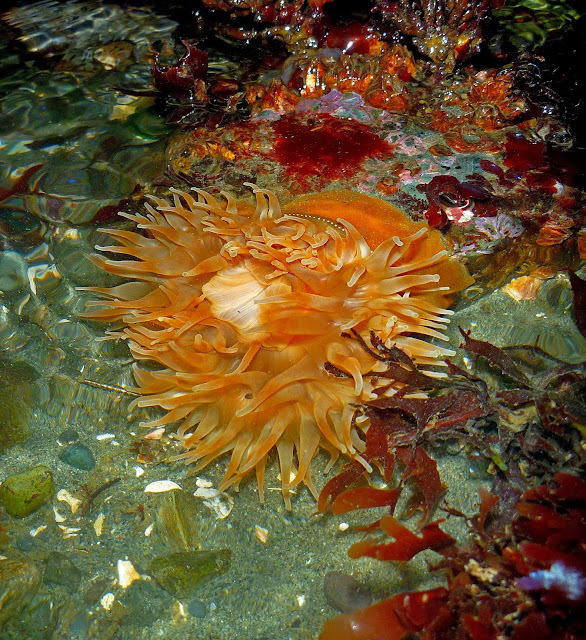 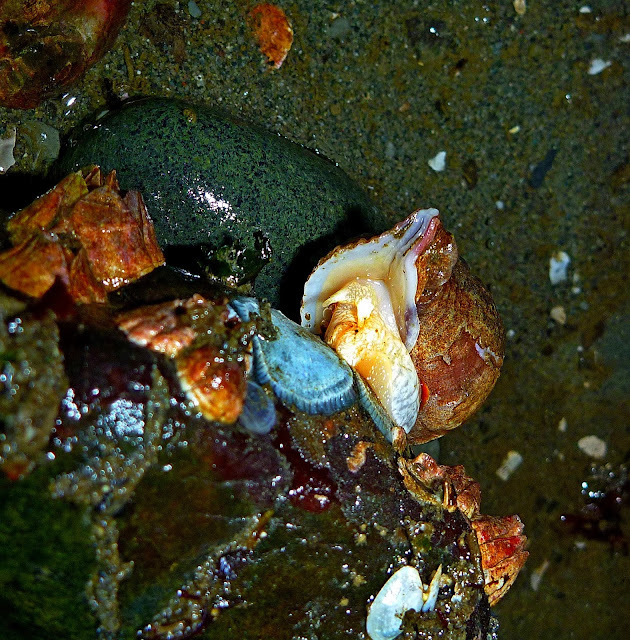 In addition the condo piling produced a green anemone (could be very large Aggregate Anemone ). 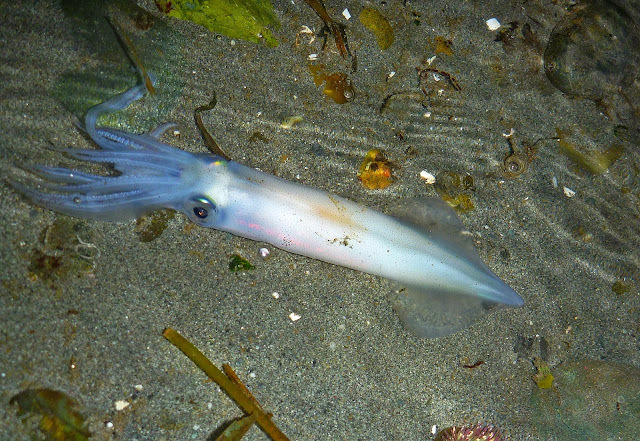 Constellation provided a squid sighting...alive but likely soon to be dead (they die after mating).